opportunity of this revolutionary medium to fulfill various business objectives ranging from Marketing, Sales, Customer Relation Management, Product Development and Research. It has created an ever increasing demand of skilled Digital Marketing professionals. According to an article in Times of India, over 8 Lakh jobs are expected to be created in Digital Marketing space in the year 2017. 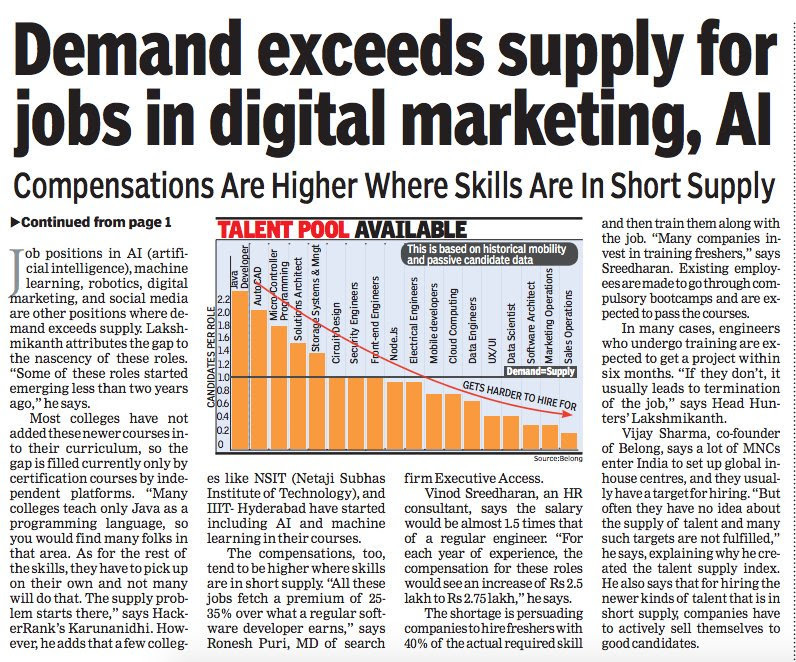 As per recent Article on May 4, 2017 Times of India, Demand has exceeded supply for jobs in Digital Marketing. Above image is showing how the trend of digitalization is spreading. 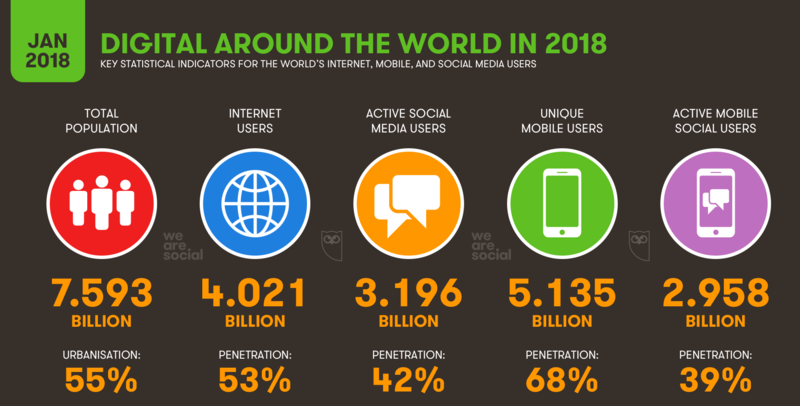 50% of world population is well connected with the internet. 66% of world population is active on mobiles and 37% are actively participating in social media activities. These growing stats are pointing towards the digital revolution as well as the growth of digital marketing career. Career in Digital Marketing is considered as a highly growing career worldwide. According to the “Business Insider & Economic Times Survey, digital marketing is in 9th place out of 10 most in-demand skills. Digital Marketing was a new thing for India till 2010. There are only a few brands utilizing the digital platform for marketing. In 2013 only 16% of total population was using the internet, this number grew to 31% in 2014. More than 40% of business depends only on digital marketing. As the internet users are increasing worldwide, the number of internet based business is also growing exponentially which leads to the growth of digital marketing career. Now the internet is being accessed by more than 50% of the population. These internet stats are directly affecting the business and the way of marketing. Now digital marketing has been playing a vital role for all small & big businesses to earn more revenue at low marketing expense.